FGR supports other research programmes focusing on environmental and social issues important to forest growers and which have the potential to matter to the wider community. Improving our knowledge of the sources of sedimentation in harvesting operations, the effectiveness of riparian vegetation along streams and waterways in reducing sediment flow into waterways, and the rate of recovery of streams following major storm events are examples of current work. 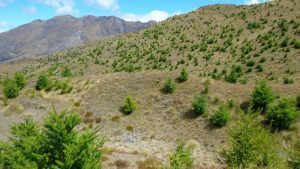 The most significant programme is work on the control and management of wilding conifers – self-seeded trees which are a massive and worsening problem in some of new Zealand’s prized high country landscapes.